In Oregon, most municipalities require annual testing of your backflow. 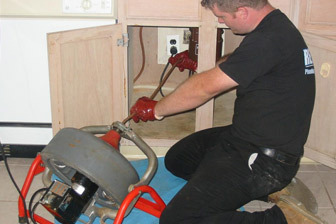 Should a problem materialize, you can call on Beaverton Plumbing, located near Portland, OR, to repair or replace your backflow device and retest it to make sure it meets criteria. The reason for the testing process is to check the appropriatevalves to make sure that water in your house is only flowing one direction – that is, from the source through the pipes to the tap. Backflow occurs when it also flows the other direction, which can contaminate the water supply, affecting its quality and safety. That’s why all water systems must have a backflow prevention device as protection. Backflow testing will ensure that your valves and other components of your backflow prevention device are working as they should. If there’s a problem, the experts at Beaverton Plumbing can fix it quickly and easily to ensure that you will be in compliance with the code. Count on our trained technicians to identify the reason for the need for backflow repair or replacement — whether it’s a worn-out valve, or another internal component that has broken down and is no longer guarding your water.